Note: I reached out to Google last week to learn more about the current rollout of Panda 4.2, when it would be completed, and other interesting questions I had based on my analysis. But I haven’t heard anything back directly related to those questions. I will update this post if I receive more information about P4.2. So according to Google, Panda 4.2 could take months to fully roll out. Here’s a tweet from Google’s Gary Illyes confirming the update. For example, here is a big hit from Panda 4.0 in May of 2014. I’ll expand on this topic later in the post, but for now just understand that you can gradually see impact from Panda 4.2 over time. Some sites will see more impact in a shorter period of time, but it’s entirely possible to see smaller movement over months. And of course, you might see nothing at all. That’s a good segue to the next section. I’ve been heavily analyzing the update since we learned about Panda 4.2, and I specifically held off on publishing this post until I reviewed enough data. Due to the extended rollout, I wanted to make sure I gave our new Panda friend enough time to show his face. Now that over seven weeks have gone by, and I’ve seen a number of interesting things along my Panda travels, I decided to finally publish this post. Warning: You might like what you read, and you might not. But it is what it is. That’s unfortunately the case. Read on. I have access to an extremely large set of Panda data globally. The data includes many sites that have dealt with Panda problems in the past (and quality problems overall). And that includes some of the biggest sites with previous Panda scars. For example, sites with tens of millions of pages indexed, that are inherently Panda-susceptible, and that have dropped and surged over time as they enter and exit the gray area of Panda. The large Panda dataset I have access to often enables me to see when Panda rolls out (and when other quality algorithms roll out like Phantom did in late April and early May.) The sites I have access to include ecommerce retailers, news publishers, press release websites, directories, affiliate websites, large-scale blogs, song lyrics websites, coupon websites, and more. As I’ve been analyzing the trending for these websites since 7/18, it was easy to see that many of the larger, Panda-susceptible sites have seen very little impact since Panda 4.2 rolled out. It’s almost like Google didn’t want to touch these sites during the initial rollout. I’m not saying that’s the case (since Panda is algorithmic), but it sure seemed that way. This is important to understand if you are monitoring a large-scale website that has been working hard on Panda remediation. If you have seen very little impact so far, it could be that Panda 4.2 simply hasn’t impacted your site yet (or it won’t impact your site at all). Like many others in the industry, I fully expected more large-scale sites that have previously been impacted by Panda to see movement. But most of the sites that act as Panda barometers have seen little or no impact. It’s very, very strange to say the least. Time will tell if that changes. Also, John Mueller explained more about the rollout in a webmaster hangout video. He said that technical problems on Google’s end are forcing them to roll out Panda very slowly. Now, we don’t know what those technical problems are, but it seems that if John is correct, then Panda could still impact your site as time goes on. I haven’t seen that happen for most sites, but I guess it’s still possible. Needless to say, this isn’t optimal for webmasters battling the mighty, I mean aging Panda. And it’s extremely out of the ordinary for Panda. Google has stated several times that they intend to incorporate Panda into its core ranking algorithm. I don’t know when that will happen, but we are clearly seeing the first signs of that happening. We had Phantom 2 in May, which was a change to Google’s core ranking algo related to how it assesses “quality”. Now we have an extended rollout of Panda, which means we can’t pin the update on a specific date. And by the way, Google also wants to incorporate Penguin into its core algo. Yes, say goodbye to external algos that are unleashed on the web in one fell swoop. So what’s the easiest way to avoid the flak created by a specific algorithm update? 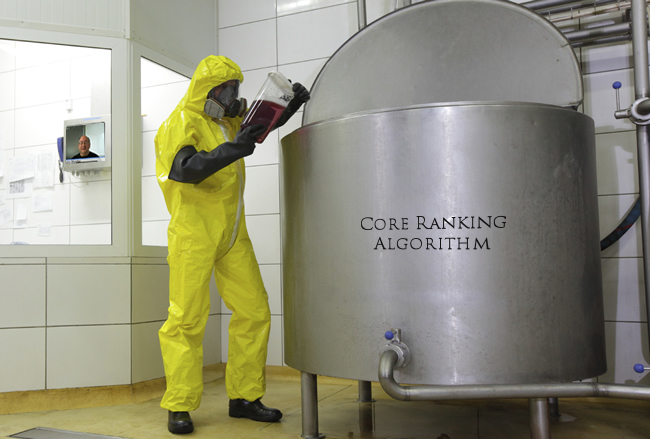 Roll that update out over months, or even better, bake it into the core ranking algorithm. Once you do, then nobody can pin a date on a specific update, nobody can say “Panda is flawed”, “Google has lost control of Penguin”, “Phantom is scarier than the exorcist”, etc. Well my friends, this is what we are dealing with now Panda-wise. And from a Penguin standpoint, you have a better chance at seeing Halley’s comet than seeing another update. Both are chained, cloaked, and do not have a specific update schedule planned. Personally, I believe it became harder and harder to release Panda and Penguin updates without causing a lot of collateral damage. Google has many algos running, and I believe it was very hard to gain accurate results when unleashing Panda and Penguin on the web. So here we are. No dates, no information, no evidence, no screaming, and no mainstream media articles about Google algo updates. With that out of the way, let’s dig deeper with what I’ve seen across my Panda data. During my Panda 4.2 travels, I came across a number of examples of websites that looked like they were heavily impacted by Panda 4.2, but actually weren’t. There were other factors at play that caused the drop or gain in traffic after 7/18/15, but just happened to coincide with the rollout of Panda 4.2. For example, check out the trending below. Wow, that looks like a severe Panda 4.2 hit. But once I dug in, there were technical SEO issues with that site that was causing traffic to go to a sister website. Basically, as one site’s traffic decreased, Google traffic to the sister site increased. And here’s an example of another Panda 4.2 illusion. The site began losing significant traffic the week before Panda 4.2 rolled out. 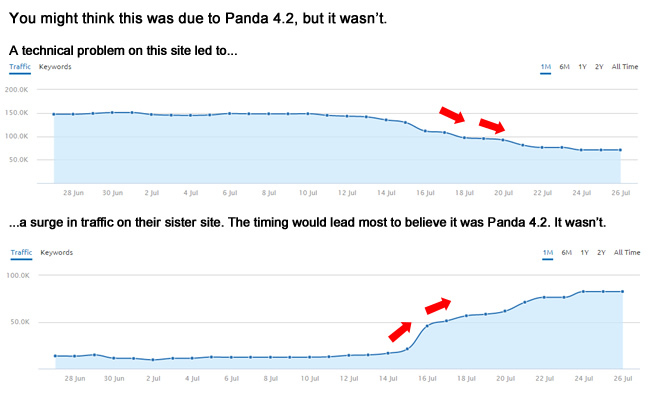 Maybe it was impact from Panda 4.2 being tested in the wild or from the Phantom tremor I saw in mid-July? No, it ends up the website was in the process of migrating to another domain. And the new domain picked up that traffic. The key point here is that context matters. Don’t assume you’ve been impacted by Panda 4.2. It very well could be other factors at play. For example, technical SEO problems can cause big swings in organic search traffic, seasonality can come into play, and other factors could cause traffic changes. And this gets exponentially worse as time goes on… That’s because we don’t have a hard Panda date to base drops or gains of traffic on. Remember, there is an “extended rollout” of Panda 4.2. So, there has not been widespread impact, but that doesn’t mean there hasn’t been some impact. And from what I can see, some websites seemed to have been heavily impacted right after Panda 4.2 rolled out. For example, sites seeing a significant drop in Google organic traffic (and a major drop in rankings) immediately following the initial rollout. Now, it’s important to note that these types of hits were uncommon during Panda 4.2. I did not see many of them (at all). But there were some. This hit did not shock me at all. I’m confident that many people have cursed at their screens after arriving on the site. It’s filled with aggressive ads, pagination for monetization purposes, has technical SEO issues causing content quality problems, and simply provides a horrible user experience. Well, the site took a big hit after Panda 4.2 rolled out. And then there were sites impacted more gradually since 7/18. For example, here’s a smaller site that has decreased gradually since 7/18. The site didn’t see full impact immediately, but did see a gradual decline in rankings and Google organic traffic since Panda 4.2 rolled out. I know what many of you are thinking by reading that subheading… Panda 4.2 recovery is an oxymoron! And overall, I would agree with you. As I explained earlier (and it’s important to highlight this), many sites working hard to recover from past Panda hits have not seen impact yet from P4.2. And some of the largest Panda-susceptible sites have also not seen movement. But there has been some positive impact already (to varying degrees). Below is an example of a surge in Google organic traffic from a website that was hit hard in September of 2014 (when we had both the 9/5 Panda update and Panda 4.1). The website owner reached out to me this winter for help, but I unfortunately couldn’t help due to a lack of availability. That said, we stayed in touch throughout the year. I received an email the Saturday after Panda 4.2 rolled out (7/25/15) explaining that the website was seeing a surge in Google organic traffic. So I took a look at Google Analytics and Google Search Console to see what was going on. Here is the sustained surge since 7/25/15. The site is up 495%. Note, sessions have been removed at the request of the business owner. Now, since I didn’t work on the site, perform a deep audit of the site, guide the changes, etc., it’s hard for me to say this was 100% due to Panda 4.2. That said, I have reviewed sections of the original site and the list of changes that were implemented. The items addressed seemed extremely Panda-like, including handling content challenges, affiliate marketing refinements, and making some advertising fixes. Then after Panda 4.2 rolled out, the site surged. Moving on, there are other websites that have seen partial recovery since P4.2 rolled out. For example, here is a site that increased after Panda 4.2 rolled out. And the site had been hit hard in the past by Panda, but shot up after July 18th. So I definitely agree that recovery from Panda 4.2 is rare, but there are sites that were positively impacted. Why more sites weren’t impacted is hard to say… Again, I reached out to Google for more information now that I analyzed seven weeks of data, but I haven’t received specific answers to my questions. I’ll update this post if I learn more. I know many in the industry have kept track of one of the more public recovery stories from Panda 4.2. I’m referring to Search Engine Roundtable. Barry Schwartz saw an immediate jump in Google organic traffic once Panda 4.2 rolled out and had been steadily increasing over time. It wasn’t a massive surge, but the site was up ~35% since 7/18. Although some believed the surge was from people searching for Panda 4.2 related articles, the surge was actually from a number of queries across topics. And even when Barry stripped out the Panda-related articles from his analysis, there was still an increase in Google organic traffic. Well, the increase was reversed in mid-August. So, was this some type of Panda 4.2 tremor or something else? We know that Google can and will tweak major algorithm updates to ensure they are seeing the right results in the SERPs, so it’s entirely possible. And by the way, there were many other people claiming to see similar changes in mid-August. Personally, I saw websites experience a similar change. One site reversed a downward slide and shot up on 8/13 while the other change was more recent on 8/24 (the site began to drop after increasing). There are many other reports of changes starting in mid-August, so this isn’t just a few sites. That said, and I’m sorry to have bring this up again, but since we are so far out from the release of Panda 4.2, it’s hard to say the impact is from P4.2. It could be, but it also could be other changes and tweaks. Remember, we have Phantom (which focuses on “quality”) plus Google rolled out over 1,000 changes last year. In 2013, I wrote a post about Google starting to roll out Panda over 10 days. In that post, I explained that when this happens, or when Panda goes real-time, there will be massive webmaster confusion. If sites experience serious gains or losses at random times throughout the year, without tying that to a specific algorithm update, then how in the world are those webmasters supposed to know what caused the drop? Quick answer: They won’t. Prior to Panda 4.2, webmasters already had trouble determining what caused a Panda hit. And now that impact can happen any time during the extended rollout of Panda 4.2, that confusion will exponentially get worse. And we know Google fully intends to incorporate Panda (and Penguin) into its core ranking algorithm. When that happens, there won’t be an extended rollout… it will be running all the time. You can technically see gains or decreases at any time. Good luck trying to figure that one out. Based on what I explained above, we may never see another Panda or Penguin update again. Read that line again. It’s entirely possible that Panda 4.2 will be the last Panda update and that Penguin has become so hard to manage that maybe just parts of it get baked into Google’s core ranking algo. And if that happens, who knows what happens to Panda and Penguin victims. One thing is for sure, Panda 4.2 and Penguin 3.0 were not effective. Actually, I’d go so far as to say they were a mess. It’s hard to look at it any other way. So yes, I called this in 2013, and here we are. Fun, isn’t it? :) As more days pass from the initial Panda 4.2 rollout date (7/18/15), it will become harder and harder to determine if Panda is impacting your site, if Phantom found new ectoplasm, or if other algorithms are at play. It’s why I’m recommending the nuclear option more and more recently. Identify all quality problems riddling a site, and fix them all. That’s both on-site and off-site. Summary – What’s Next For Panda? Well, that’s what I’ve seen so far. 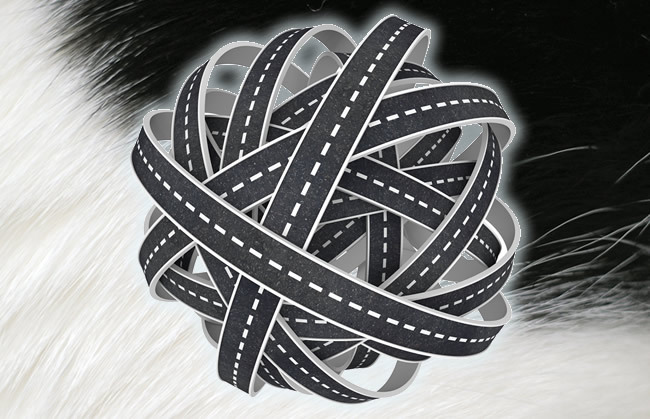 Panda 4.2 started rolling out on 7/18, but it can take months to fully roll out. And Phantom is running all the time. And Penguin hasn’t rolled out in a while, and who knows when (or if) it will roll out again. And Google pushes 500-600 updates each year (with over one thousand last year). There’s a lot going on… that’s for sure. Regardless, I will continue to analyze the impact from Panda 4.2 (and other miscellaneous disturbances in the force) and I plan to write more about my findings as time goes on. In the meantime, keep improving content quality, fix all quality problems riddling your website (on-site and off), drive stronger user engagement, and fix any technical SEO problems that can be causing issues. That’s all you can do right now from a Panda standpoint. Then just hope that Google fixes Panda or bakes it into its core ranking algorithm. But of course, if that happens, you will never know what hit or helped you. And I think that’s just fine from Google’s standpoint. Good luck.